Welcome to the Guild’s web site and over 40 years of woodcarving. The Guild was founded in May 1978 by the late James Bell in conjunction with three others – Vic Flower, Bill Judge and Stan Callan. 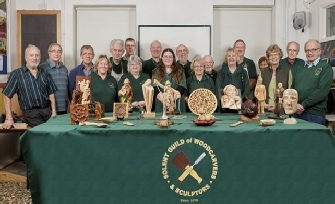 At a meeting in Cosham on May 18th, which was attended by twenty people, the Solent Guild of Woodcarvers & Sculptors was officially inaugurated. A couple of Founder Members, i.e. those who joined during the first year, are still Members of the Guild. 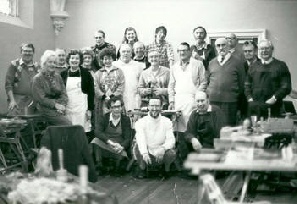 The Guild regularly holds Carving Sessions, Social Meetings, Demonstrations and Competitions. Further details are given under the Activities tab. Select Latest Guild News for current activities and changes to the programme. We are a voluntarily run Guild of people, of both sexes and all ages, interested in all aspects of carving, whittling and sculpting and other wood related activities. We have many members from all over the Solent area, centred on Portsmouth in Central Southern England.